Hey y'all! I hope your week is off to a great start! 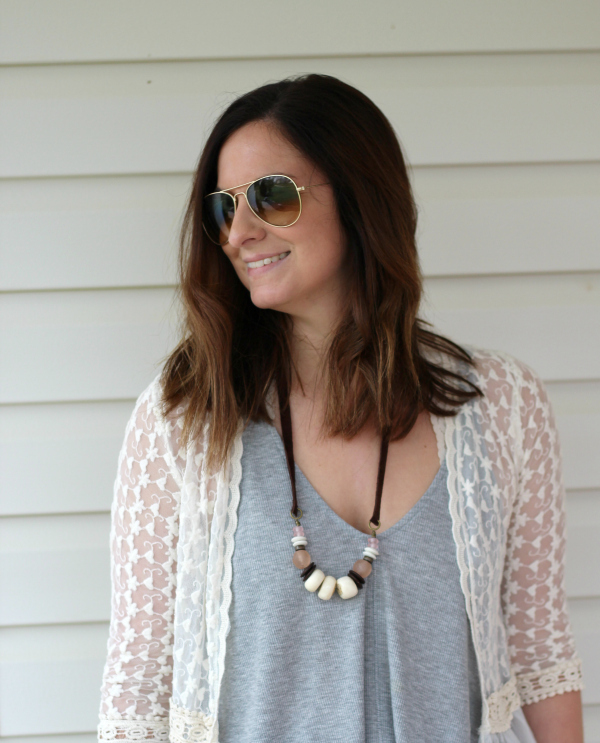 Today, I'm so excited to share some gorgeous handmade boho jewelry with you from my own personal friend, Kailey from Lacole! 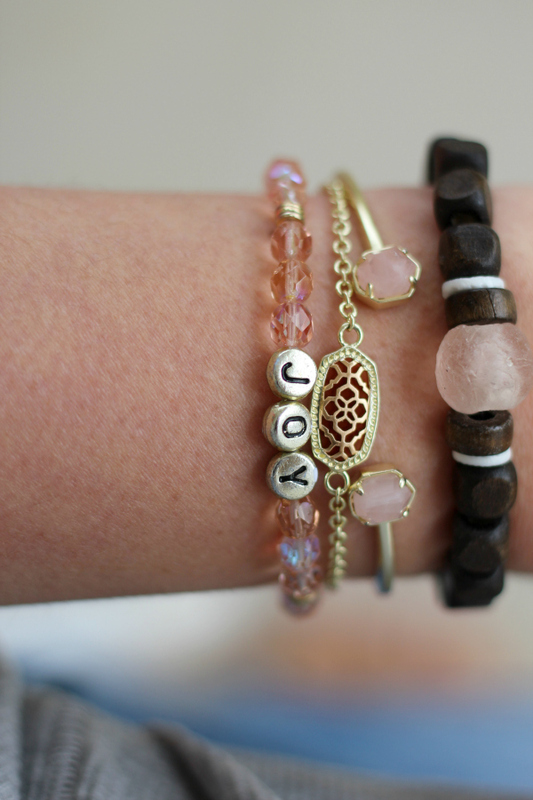 She creates the most beautiful boho pieces (along with her mom) that are all one of a kind. They have never created two pieces that are exactly the same! Kailey made this custom necklace and bracelet set for me! I showed her a few pictures of pieces that I loved, shared with her what colors I had in mind (blush pink, of course), and she made this gorgeous set come to life. 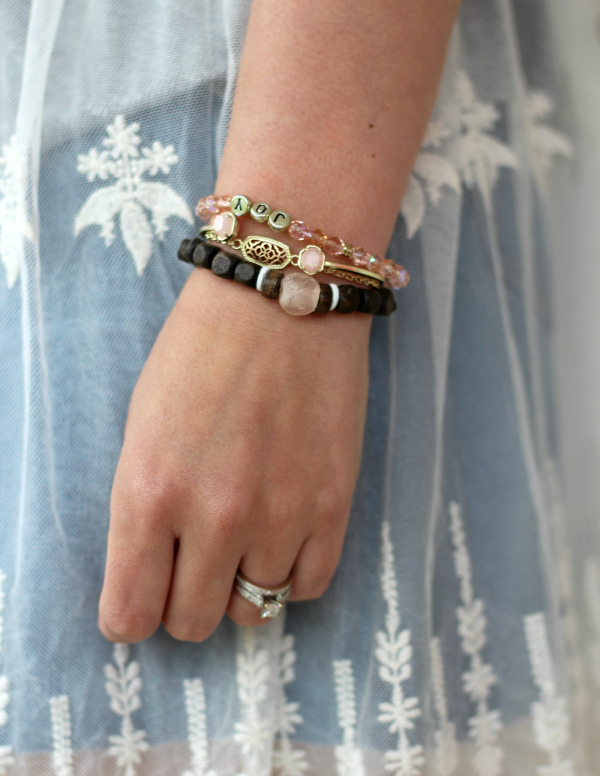 These jewels are perfectly boho chic! 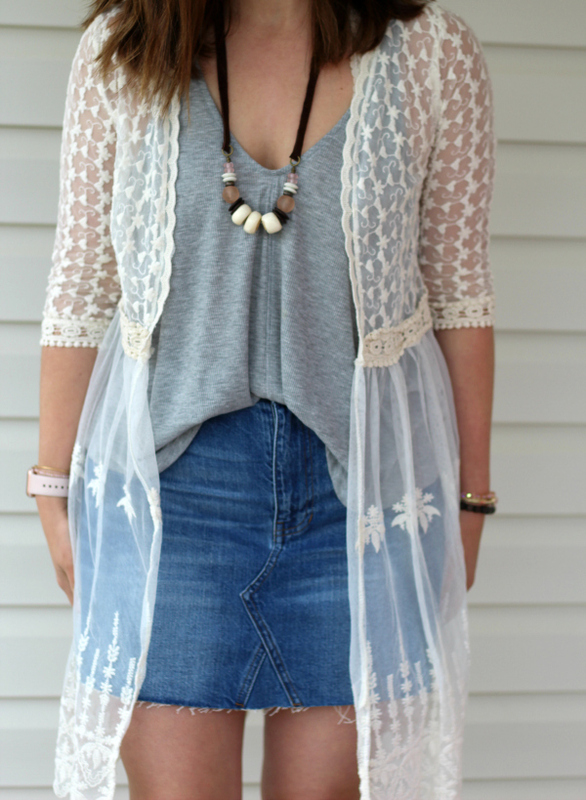 I paired my new pieces with a loose tank, denim skirt, and a lace kimono for an easy, put together, comfortable look for this spring and summer. 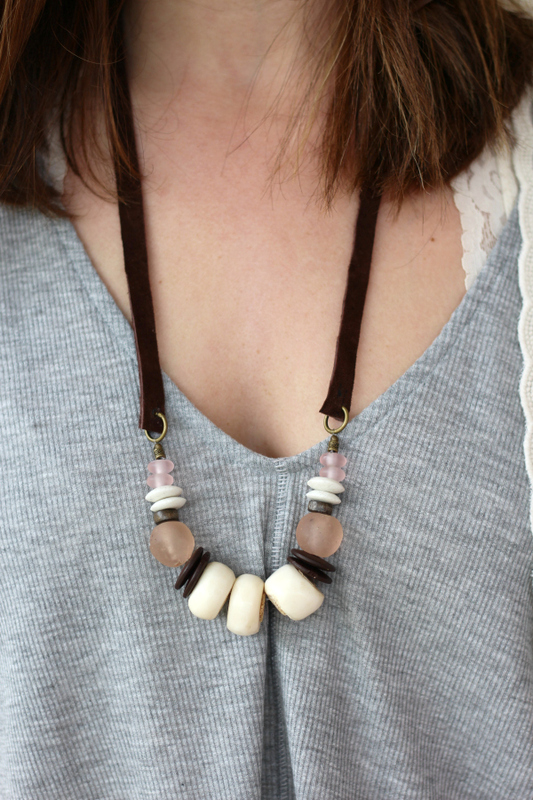 Handmade jewelry and small businesses are always close to my heart, especially when they are friends, too! 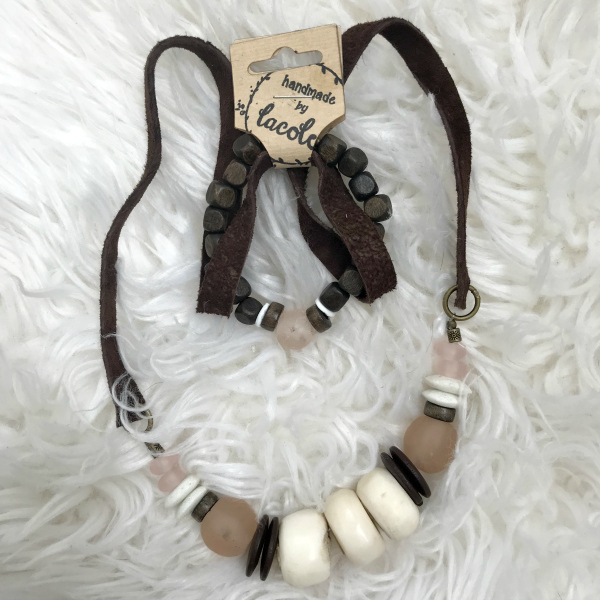 If you are looking for a one of a kind piece of boho jewelry, be sure to check our Lacole on Instagram today and let them make a custom piece or two for you!